It probably goes without saying at this point, but democratic institutions are experiencing something of a crisis. The last decade has seen an increasing trend toward right-wing populism around the world, from Donald Trump in the US and Jair Bolsonaro in Brazil to the rise of autocratic regimes in Poland and Hungary. These developments are particularly troubling considering they are occurring in countries ruled by nominally democratic governments, even though democracy is meant to be a bulwark against exactly this kind of political extremism. Carlyle’s History of the French Revolution , a three volume work that assured his fame as a historian, was finished in 1836 but not published until 1837 because John Stuart Mill’s maid mistook the manuscript of Volume One for kindling. 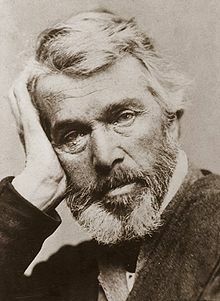 The setback prompted Carlyle to compare himself to a man who has “nearly killed himself accomplishing zero.” But he re-wrote the first volume from scratch. As we ponder power and presentation, we might send traitorous birthday greetings to Mildred Elizabeth Gillars; she was born on this date in 1900. After failing to find a career in the theater, vaudeville, or music in New York City, she left the country, ending up in the 1930s in Berlin… where, in 1940, she became announcer for the Reichs-Rundfunk-Gesellschaft (RRG), German State Radio. She broadcast English-language propaganda throughout World War II, earning (with her colleague Rita Zucca) the nickname “Axis Sally.” She was captured after the war and convicted of treason by the United States in 1949. 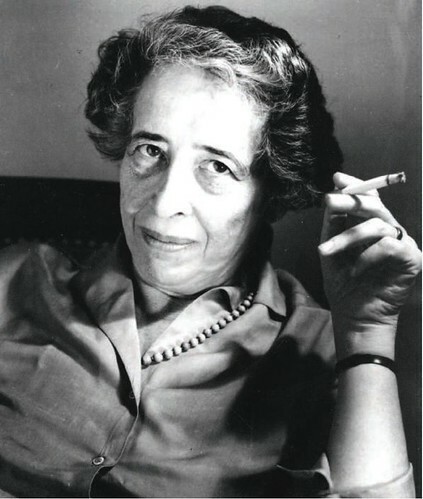 Arendt found Eichmann an ordinary, rather bland, bureaucrat, who in her words, was ‘neither perverted nor sadistic’, but ‘terrifyingly normal’. He acted without any motive other than to diligently advance his career in the Nazi bureaucracy. Eichmann was not an amoral monster, she concluded in her study of the case, Eichmann in Jerusalem: A Report on the Banality of Evil(1963). Instead, he performed evil deeds without evil intentions, a fact connected to his ‘thoughtlessness’, a disengagement from the reality of his evil acts. 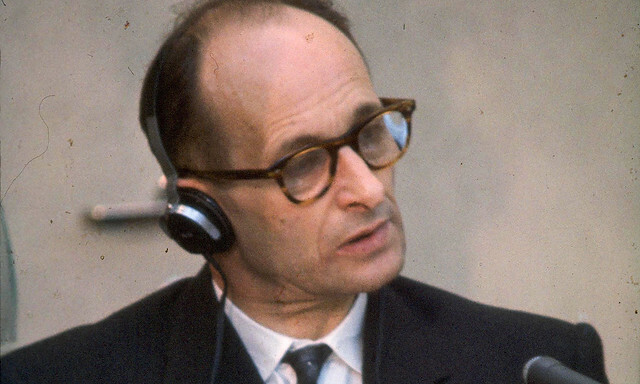 Eichmann ‘never realised what he was doing’ due to an ‘inability… to think from the standpoint of somebody else’. 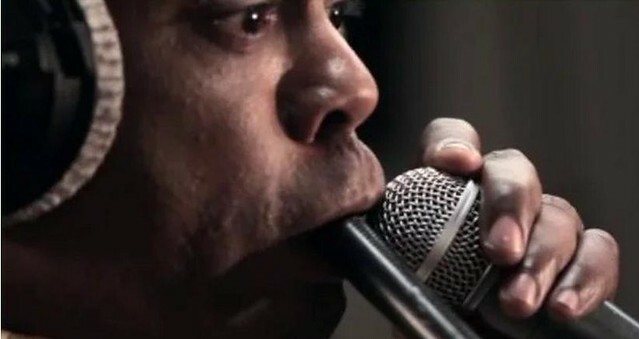 Lacking this particular cognitive ability, he ‘commit crimes under circumstances that made it well-nigh impossible for him to know or to feel that he [was] doing wrong’. As we think about the unthinkable, we might wish a crafty Happy Birthday to Niccolò di Bernardo dei Machiavelli; he was born on this date in 1469. Machiavelli wrote comedies, poetry, and some of the best-known personal correspondence in Italian; but he is best remembered as a Man of Affairs, first as a servant of the Florentine Republic in a time during which Medici influence was on the wane. His most famous work, The Prince— first published as a pamphlet in 1513– was written mid-career to gain favor with the Medici, who were at that point regaining dominance in Florence. The essay on the exercise of power (inspired by Cesare Borgia) not only failed to win over the Medici, it alienated Machiavelli from the Florentine public; he never again played an important role in government. Indeed, when the Florentine Republic was established in 1527, Machiavelli was effectively ostracized. But published in book form posthumously (in 1532), The Prince began its steady growth in influence. 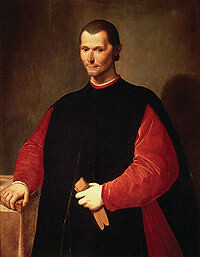 And of course today, Machiavelli is considered one of the fathers of modern political theory. 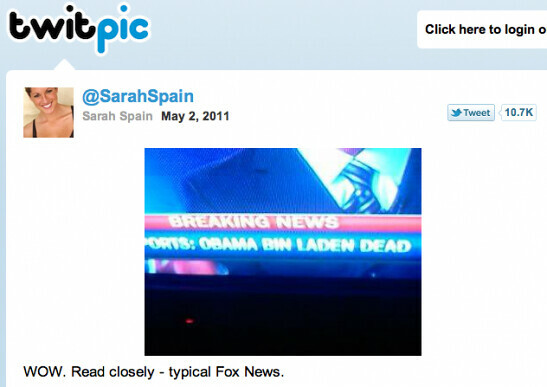 Still, Happy World Press Freedom Day! As we remember that, to paraphrase Craig Newmark, a free press is the immune system of a democracy, we might wish a crafty Happy Birthday to Niccolò di Bernardo dei Machiavelli; he was born on this date in 1469. Machiavelli wrote comedies, poetry, and some of the best-known personal correspondence in Italian; but he is best remembered as a Man of Affairs, first as a servant of the Florentine Republic in a time during which Medici influence was on the wane. His most famous work, The Prince— first published as a pamphlet in 1513– was written mid-career to gain favor with the Medici, who were at that point regaining dominance in Florence. The essay on the exercise of power (inspired by Cesare Borgia) not only failed to win over the Medici, it alienated Machiavelli from the Florentine public; he never again played an important role in government. Indeed, when the Florentine Republic was established in 1527, Machiavelli was effectively ostracized. But published in book form posthumously (in 1532), The Prince began its steady growth in influence. And indeed today, Machiavelli is considered one of the fathers of modern political theory.